The Interior Ministry is ignoring Swiss authorities’ reports. Brothers Anri and Mancho Kovachevi have not even been questioned. 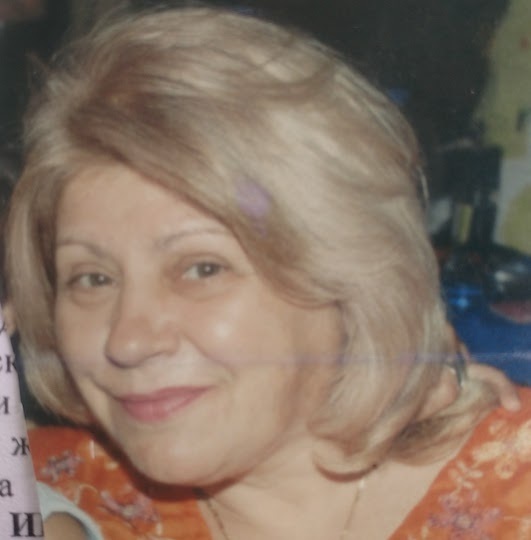 Bulgarian retiree Tsvetanka Evstatieva has admitted to Swiss investigators that brothers Anri and Mancho Kovachevi from the northwestern Bulgarian city of Vratsa have used her as a “mule” to transport drugs. On July 30, 2017, she was detained at the Zurich airport with nearly 700 grams of cocaine while transferring from a flight from Sao Paulo to one to Athens. Information about the organizers of the drug trafficking channel, Anri and Mancho Kovachevi has reached Bulgarian authorities via official correspondence, but the Interior Ministry remains idle. The brothers have not even been questioned in the case about which Bivol wrote in detail a month ago. Bivol’s publication revealed scandalous facts about a group from Vratsa, dealing with fraud and drug trafficking. Immediately after it, our informant, who appeared before our camera with his real name, was brutally beaten and warned to remain silent. Despite this ugly confirmation of the existing circumstances, the Interior Ministry, apparently, has no intention of investigating a very real drug channel. At the beginning of the month, the Main Directorate for Combatting Organized Crime (GDBOP) conducted a boastful operation in Vratsa and detained several small dealers. Brothers Kovachevi, however, who are known for their criminal past, remain at large. Evstatieva has been recruited as “mule” after Kovachevi used fraud to take ownership of her only home. At the end of last year, they gave her a cash loan against which she pledged her apartment. In the following months, she regularly sent money from Greece, where she works, via Western Union to repay the debt. The brothers, however, claim that they have not received anything and that she still owes them money. Anri Kovachev has managed to get a notary deed for Evstatieva’s apartment and has even demanded from her to pay rent or be thrown out on the street. Desperate, Evstatieva has accepted an “offer” from the brothers to travel to Brazil to bring “some bag” from there, promising to give her in return her apartment back and “write off” the debt. The brothers have handed her a ticket to Sao Paolo, USD 350, a cell phone and have instructed her to go to a hotel and wait for a call. This is what she has explained in her testimony before the Swiss investigators. Bivol has seen the written testimony. On 19 July, Evstatieva left for Sao Paulo on a Swiss Airlines flight from Athens, with an overlay in Zurich. After nine days of waiting at the hotel, a local finally contacted her to give her a black bag that seemed empty. On July 30, Tsvetanka landed back in Zurich on flight LX93 from Sao Paulo. During a routine check, Swiss customs officers found 700 grams of cocaine in the inner compartment of the bag. Laboratory analysis showed that it had the highest possible purity – 92%. This gives indications of a serious drug channel, probably from Peru. In recent years, this country has become a major producer of drugs from Colombia, and Peruvian cocaine is considered to be the purest in the market. Tsvetanka Evstatieva has been convicted through a speedy trial to 28 months of jail time and is now serving her sentence in a prison near Zurich. In one of her very rare opportunities to reach someone outside the prison, she spoke to a Bivol reporter and fully confirmed what she had told the Swiss authorities. The investigators in Zurich have questioned her in detail about Anri and Mancho Kovachevi. They have shown her a series of photographs and she claims to have recognized Kovachevi on them. In mid-August, the Swiss authorities sent a report on the case to Bulgaria via Interpol and requested information on Mancho and Anri Kovachevi. By this time, Tsvetanka Evstatieva’s relatives have already officially declared her missing to the police because they have not had heard from her for several weeks. However, the report with Evstatieva’s testimony sank in the safety vaults of the GDBOP and the Regional Directorate of the Interior Ministry in Vratsa. Obviously, the Bulgarian law enforcement authorities see no reason to launch an investigation. Brothers Kovachevi have not even been questioned. Bivol already published Anri and Mancho Kovachevi’s photos in the close company of former policeman Tsvetan Blagoev. The latter is the same police officer, who became a whistleblower for revealing outrageous behavior of local police chiefs and was consequently portrayed as a hero in TV reports. However, the cover-up for the brothers evidently comes from a much higher place. Along with Kovachev and Blagoev, the photos also show a man, known as Nikola “Nikki The Gypsy” Georgiev, who is infamous in the Vratsa underworld. Several hours after Bivol published the photos and information about a retiree detained in Switzerland, Evstatieva’s grandson, Iliyan, was severely beaten by three strangers who broke his arm. Our call to the Interior Ministry to provide police protection for Iliyan as an important witness remained a voice in the desert. On October 3 this year, the GDBOP and the Prosecutor’s Office conducted a boastful operation in Vratsa and detained several small dealers. Those listed as organizers of the very real overseas drug trafficking channel were not at all bothered. As revealed by Bivol, Anri Kovachev is the proxy for a company registered in the offshore state of Delaware, USA. This was enough grounds for the US agency DEA to conduct their own investigation. But no matter where this story goes, it’s end will not be glorious for Bulgarian authorities, who have chosen to ignore evidence of the existence of a dangerous organized crime group; to put at risk the life and health of an important witness and to openly sabotage an international drug channel investigation.